Zimbabwe’s President Mugabe’s wife Grace Mugabe, has reportedly surrendered to the Police, following Sunday’s assault incident which was made public yesterday. This was confirmed by South Africa’s Police Minister, Fikile Mbalula. . The Zimbabwe’s First Lady who is South Africa for treatment, was accused of using extension cord on 20-year-old South African Model, Gabrielle Engels, after meeting her in a hotel room with her two sons. 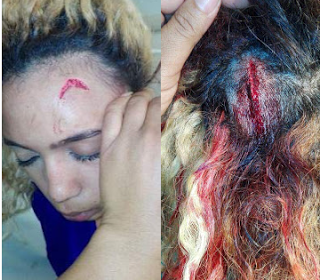 A 20-year-old South African model has claimed she was assaulted by Grace Mugabe, wife of Zimbabwe President Robert Mugabe. According to Gabriella Engels, she was assaulted by Mugabe’s wife at a hotel in Sandton‚ Johannesburg‚ around 9pm on Sunday night after she went to visit the Zimbabwean president’s two sons. 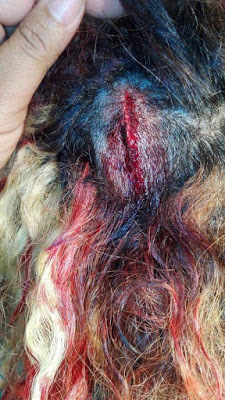 She said Mrs Mugabe proceeded to beat her and two of her friends with an extension chord‚ while the two sons ran away and the Mugabe bodyguards looked on. 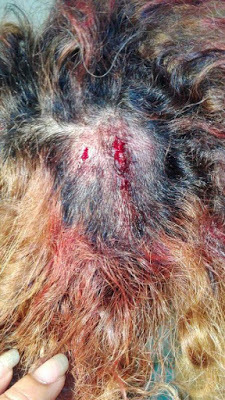 She said she suffered gashes to her forehead and scalp. “When she got home I was already sleeping. She was in so much shock‚ she couldn’t tell me what happened‚” Debbie said. 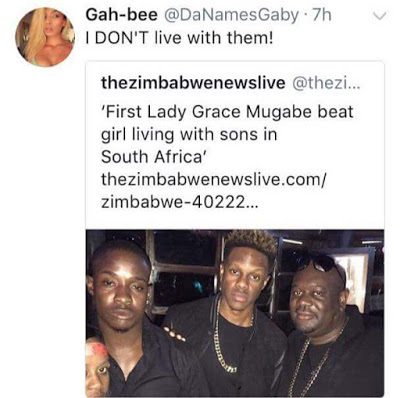 0 Response to "Mugabe’s Wife Surrenders To Police For Assaulting A Girl She Met In A Hotel With Her Sons"